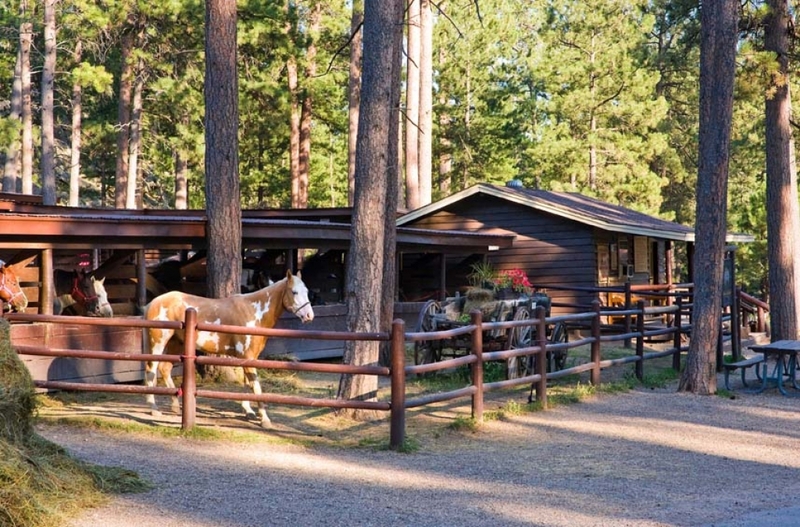 Live like the cowboys of old—with modern amenities. 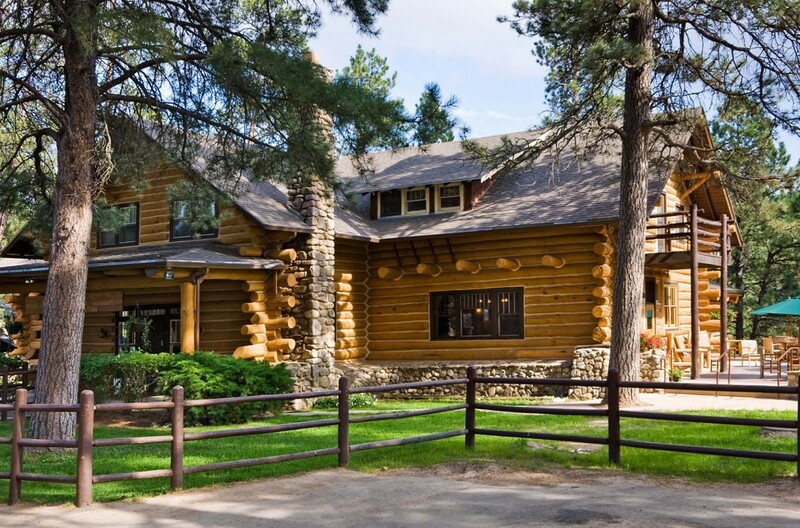 Head on over to the prettiest little log-cabin ranch hideaway: Blue Bell Lodge. 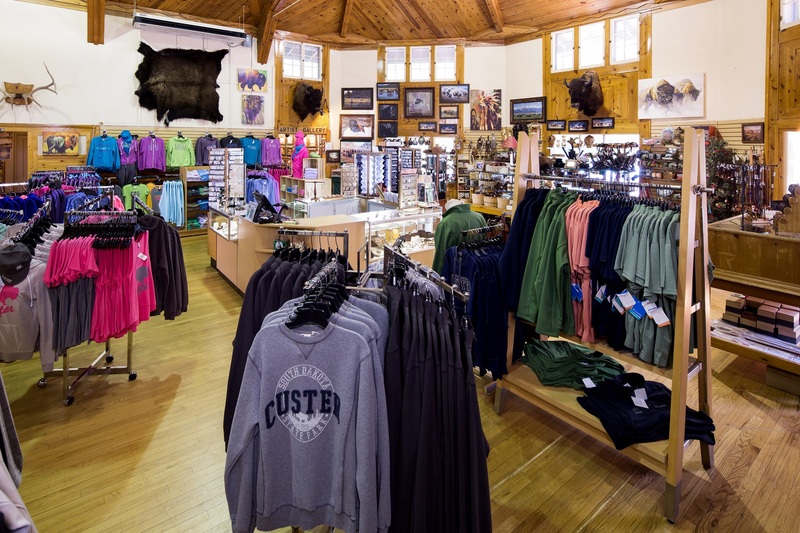 We’ve got horses and the chuck wagon is stocked. 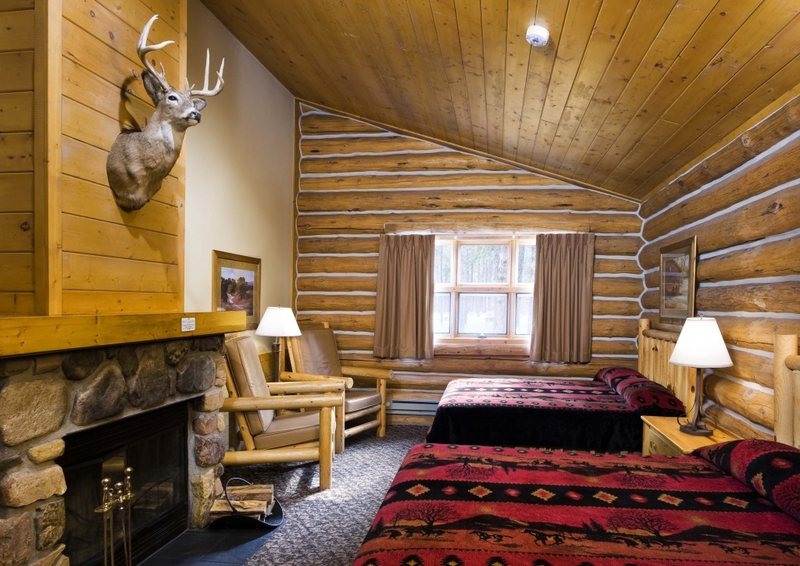 Plus, every cabin has a fire pit outside, so you can end your day telling tall tales around the campfire. Saddle up for a trail ride through some of the park's prettiest areas and the proud home of the Blue Bell stables. 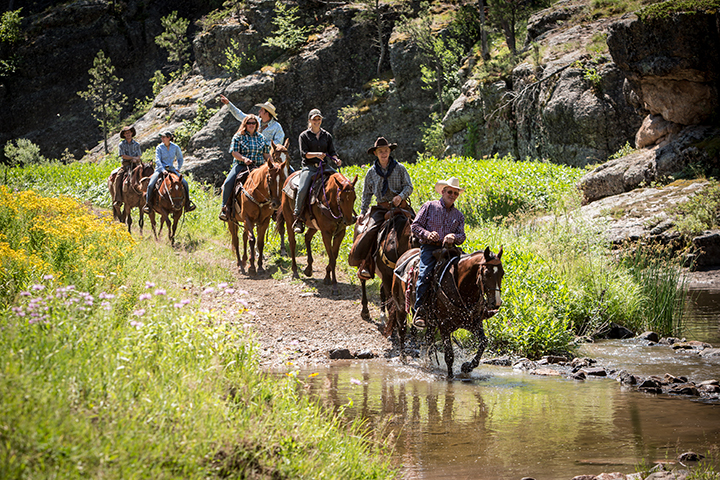 If you're feeling a bit more adventurous, try an all-day horseback ride led by seasoned cowboys. 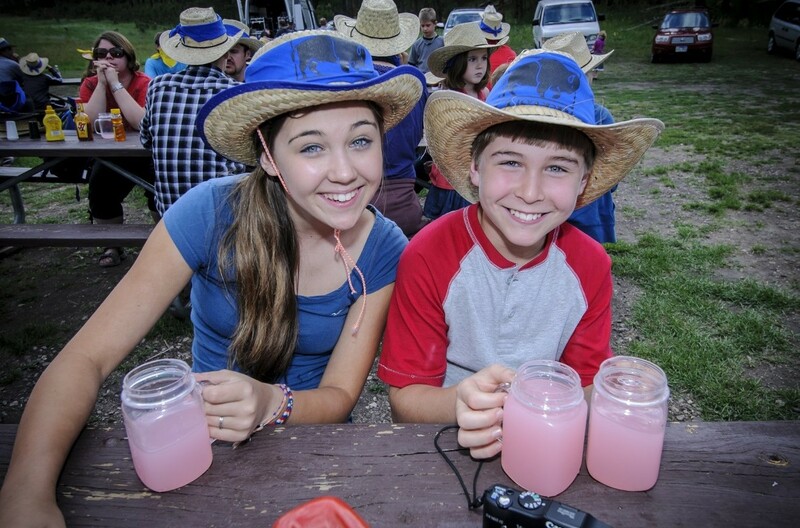 Gather around for our chuck-wagon cookouts, a Blue Bell tradition. 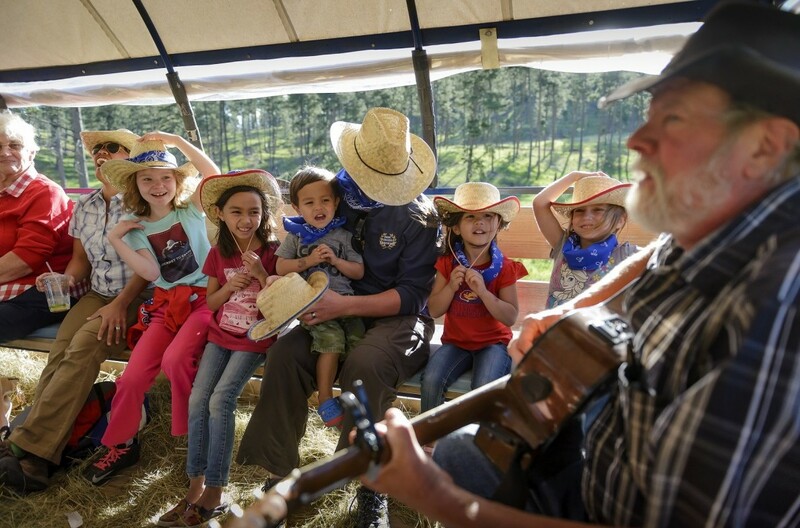 This crowd-pleaser starts with a hay-wagon ride through the scenic backcountry of the park into a secluded canyon. 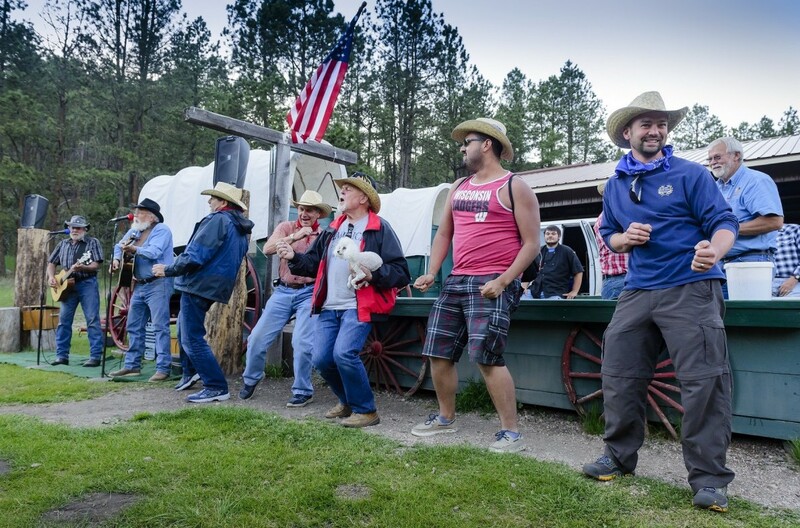 There you'll enjoy an old-fashioned chuck wagon dinner, complete with Western entertainment. 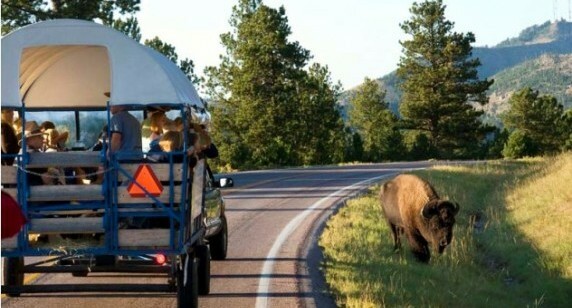 Blue Bell is located north of French Creek along the Wildlife Loop and right next to the Horse Camp. 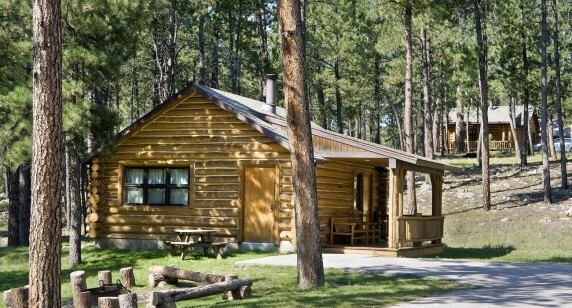 29 cabins surround the main lodge, including some of the nicest 4-person cabins in the resort. 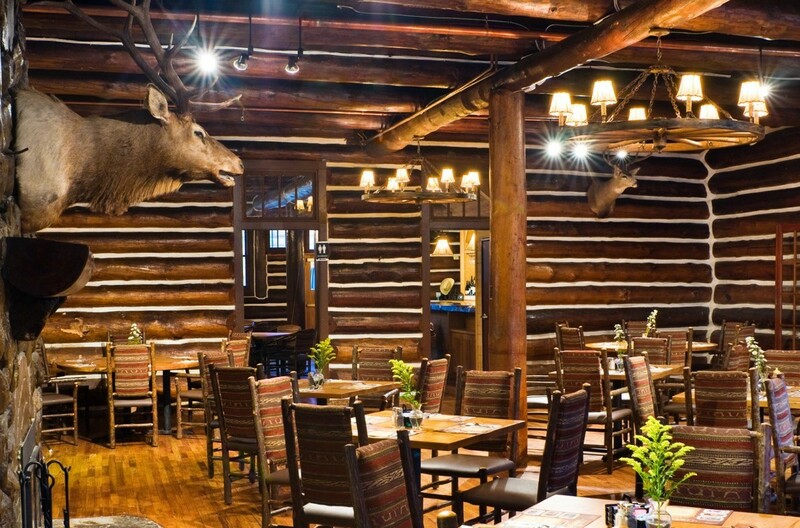 The Blue Bell Lodge dining room serves up true Western flavor, with cattle-drive classics featuring bison and even some rattlesnake sausage. 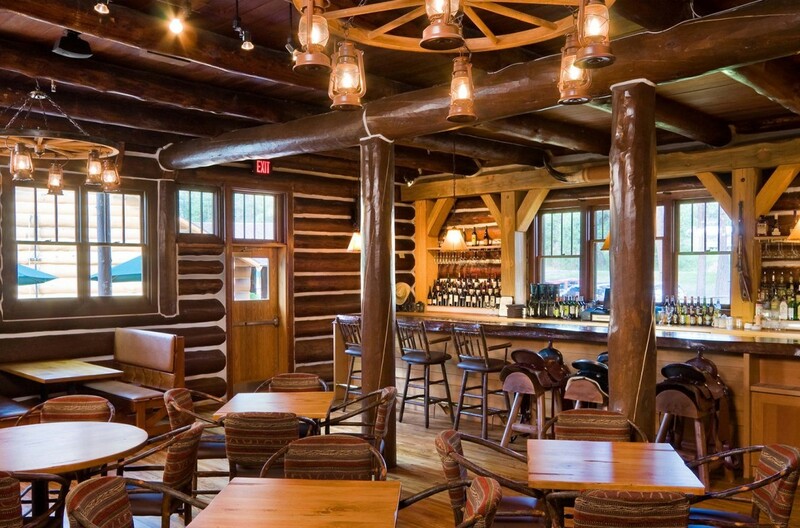 Choose from two meeting spaces in the Western ranch tradition. 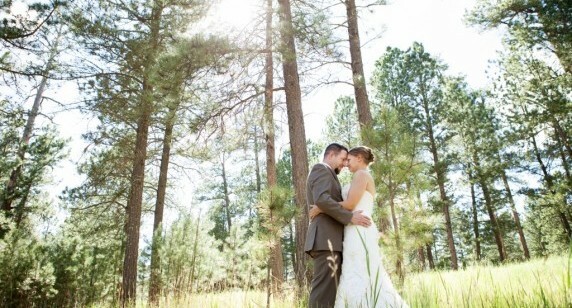 The Blue Bell outdoor chapel is a charming spot for a wedding ceremony, complimented by our private White Buffalo Room. Has Blue Bell stolen your heart? Check availability now. 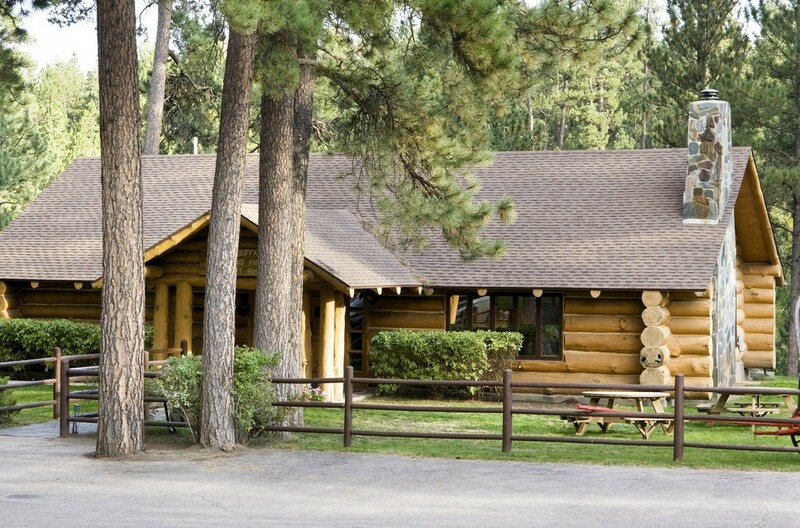 Pair ol’ fashioned fun with a Spring stay in our premium log cabins. 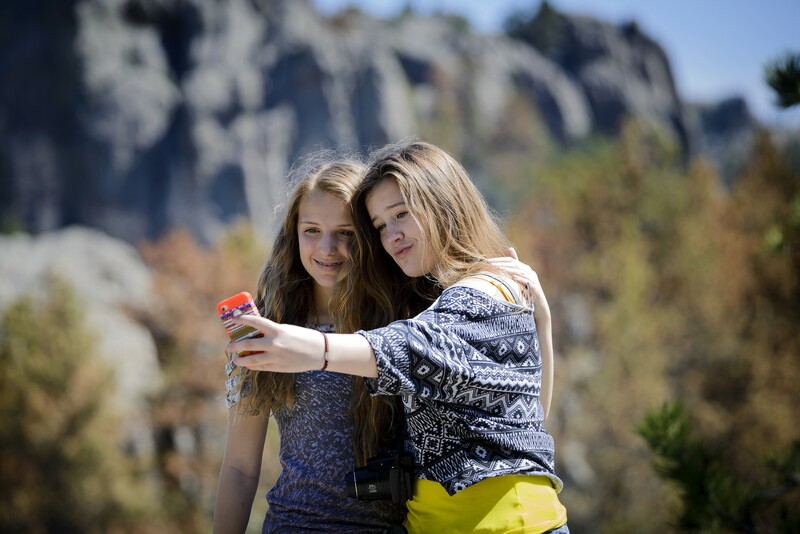 See our package deals. 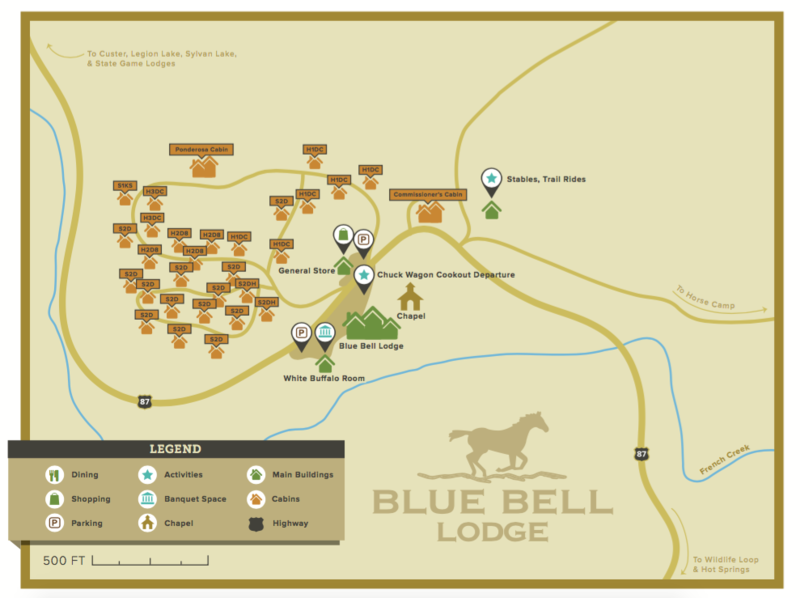 Blue Bell Stables offers guided trail rides. 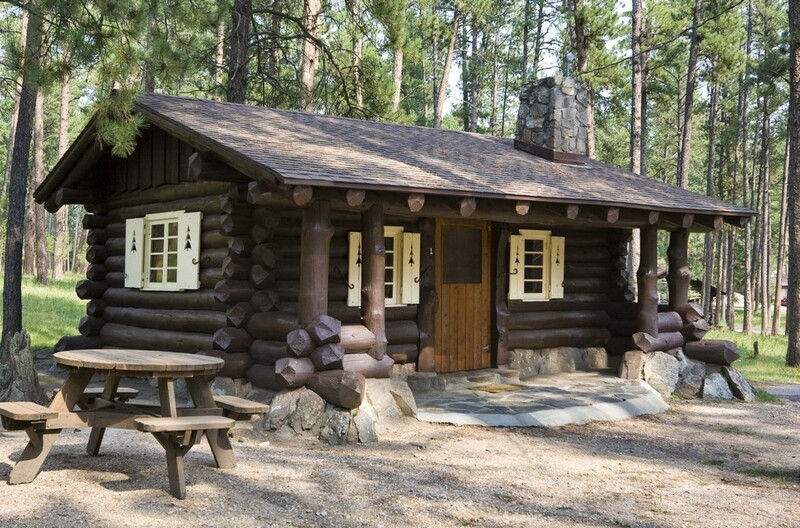 Some of the nicest 4-person cabins in the park can be found at Blue Bell. 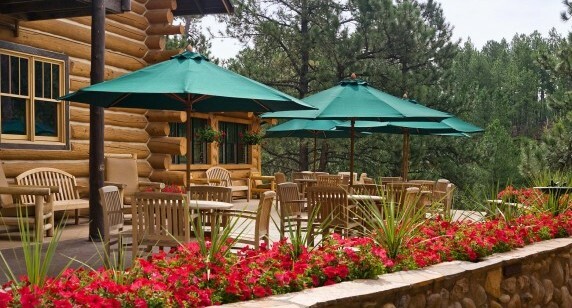 Exterior of the Blue Bell Lodge dining room. Inside of the Blue Bell Lodge dining room. 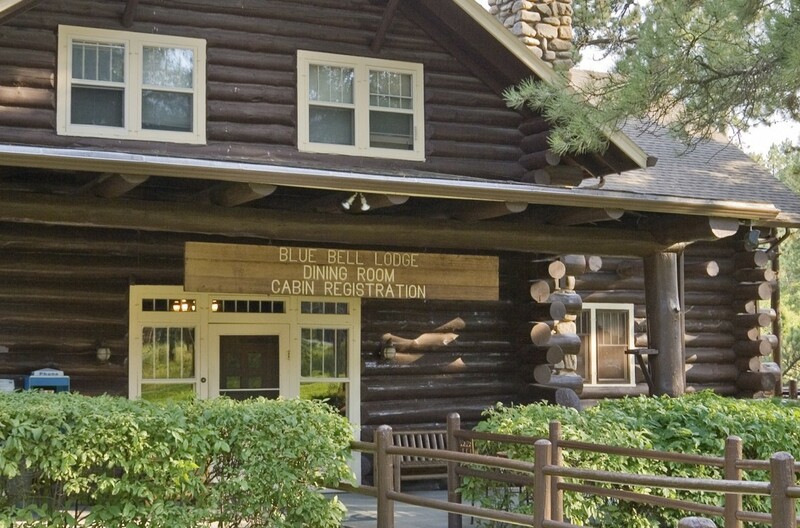 The beautiful log cabin exterior of the Blue Bell Lodge. 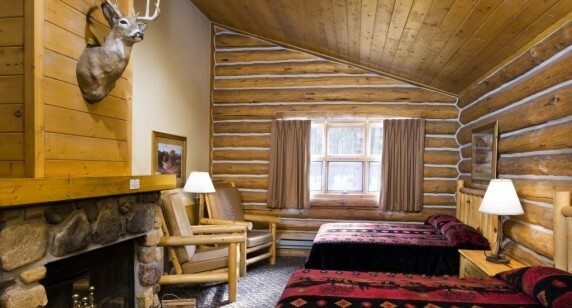 Housekeeping Cabin at the Blue Bell Lodge. The lounge at Blue Bell Lodge. 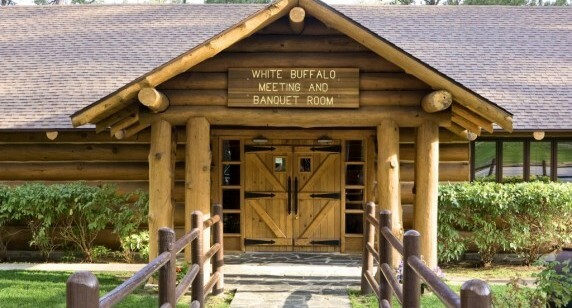 Exterior view of the White Buffalo Room.